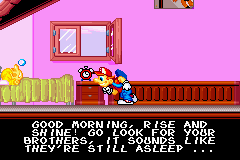 The Morning Adventure is an action platformer game for the Game Boy Advance. 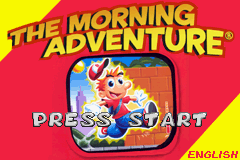 The Morning Adventure is an platforming advergame for a Spanish breakfast food known as a Mañanito. This patch translates the entire game into English, including the title screen, all dialogue as well as the credits. 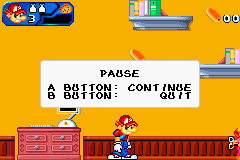 The game is entirely playable even without the translation, but the patch recreates in English the cheesy style of the original (Mañanitos can solve just about any problem), and so while the game itself isn’t all that compelling, it can now be enjoyed not just for its gameplay but for the whole amusingly tacky package.